Yes, cats and dogs do get embarrassed over their blunder acts. It is difficult to judge what your pet cat is thinking when it just sits comfortably in a corner after it failed to catch its prey which ran away from its clutches. Scientist believed that domestic animals especially your pet cat or dog, have various emotions including embarrassment, which are similar to human being. Scientist studied on these domestic animals had proven that cats are used to solitary life, live on its own, without companions. Hence, cats are less expressive compare to dogs which the latter would easily reveal its happiness , sadness or anger at anytime since dogs are weak at concealing its emotions. If domestic animals has a purpose on doing some movement and suddenly failed to do so, it will show a "displacement activity". A "displacement activity" means the animal would naturally pretend that nothing had happened when it makes a blunder out of the actual position. Just watch a cat after it fell off a wall or a cupboard. It will start to scratch its ear or groom its body, as if saying "Ah yes, that was the stunt I wanted to show you all the while. ", just as an embarrassed human being might pacify his own ego. 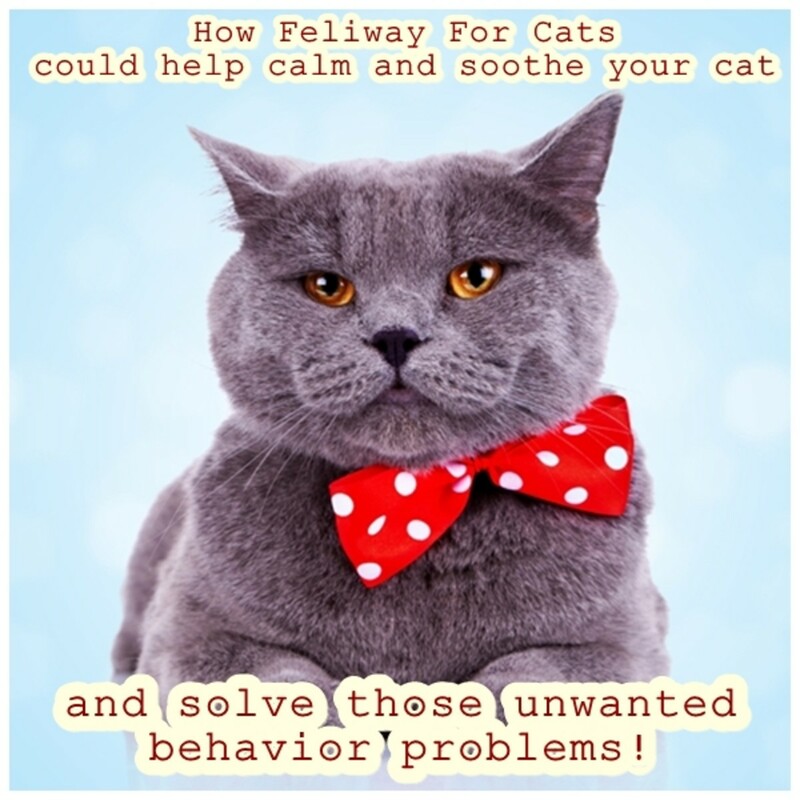 You may be surprised that your pet cat will eventually perform this displacement behavior, whether or not another animal or human being is present to witness the embarrassing act. It is the natural instinct of a cat. I am sure that most pet owners would not deny their elegant felines would show signs of various emotions that are similar to human being . Cats could show immense endurance to pain after a cat fight or dogfight. These felines do not howl or cry in pain as you can normally see on dogs. They would usually scamper for safety such as running back to owner's home, hide behind the sofa, bed or the refrigerator to nurse their injuries. They won't be hiding in their normal cat baskets because they do not wish to be found by other animals or human being. A cat could self relieved its pain independently. Pet owner may encounter difficult time to get near injured cat to seek immediate treatment as it is fearful to further pains. 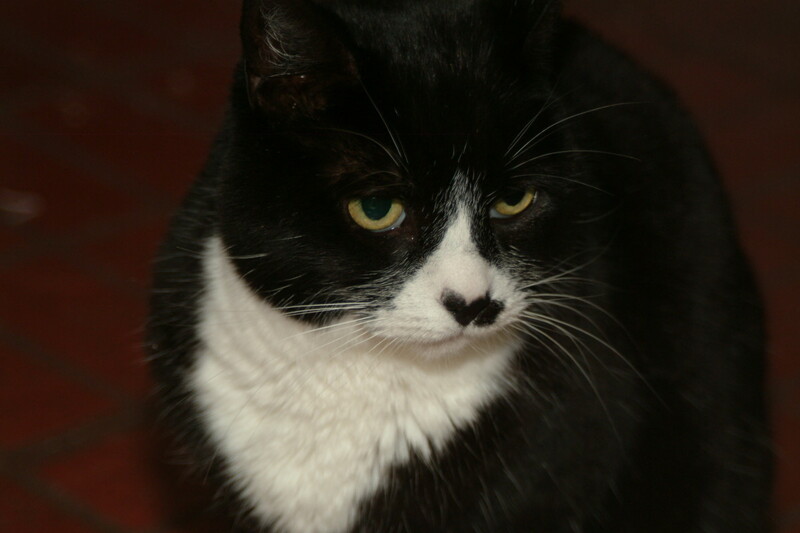 Hence, the cat would protect itself by displaying its anger such as hiss and spat or give you an evil stare. Do you cover your cat at night or rainy days? Yes, I always cover my cat with a blanket and he loves it! No, my cat doesn't like anything on him. Sometimes, when the weather turns cold, he snuggles in a box with rags. I never bother about my cat. When pet owner deliberately had the cat dressed in cat clothing, it will be extremely embarrassed when she sees her reflection in the mirror. Pet owner may find the cat dress up beautiful or cute but not in the cat's opinion. A cat doesn't like to put anything on its body, whether it is a bell around its neck, a bow tie, costumes or even a blanket. It makes the embarrassed cat hide itself in a corner, trying to remove the clothing with scratching and pulling them apart with its sharp teeth. The cat may have the feeling of embarrassment which makes it stand out among other cats. Maybe in cats communication, the other cats may have laughed at its ridiculous appearance. My pet cat doesn't even like the blanket that I covered her body during at night. She keeps pulling it off to the floor and prefer to sleep on cozy rug instead ! We all know that cat loves boxes whether big or small as long it fits her in. 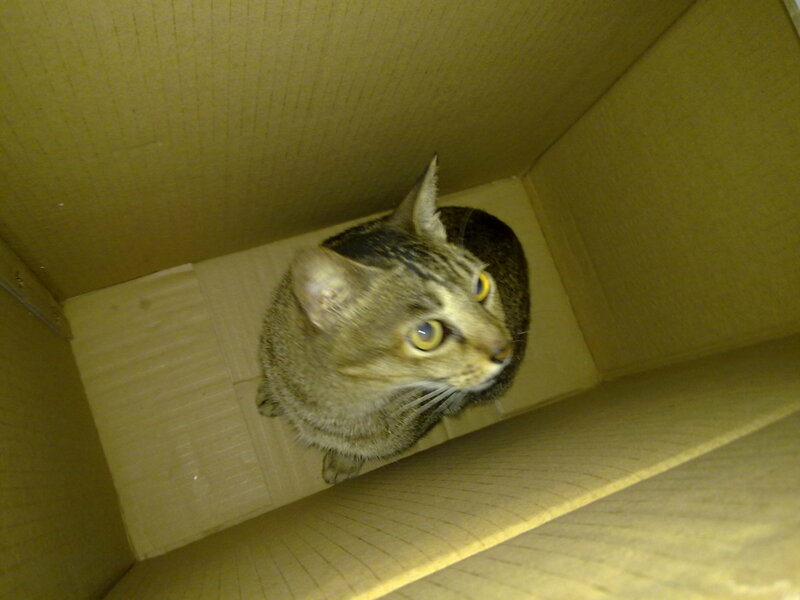 Occasionally, I would observed my cat as her curiosity grew when she sees a box, especially a big long rectangular box. She immediately launched her detective skills, sniffing for clue, anything that might leap out and scared out her nine lives, meowing in high and low tone to announce that she is going in soon. She pawed the box's side flaps and jumped int the box after she had confirmed that it is safe to snuggle in. When she realized that the box is not her targeted item, the embarrassed cat tried to leap out of the box unsuccessfully. 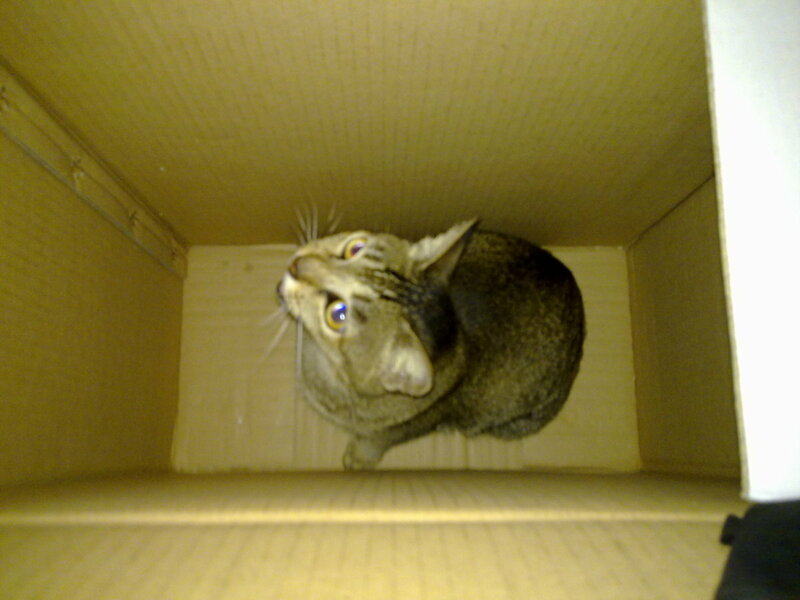 She was frantic, scratching the box wit her sharp claws and yowling for help. When I lay down the box on one side, she walked away nonchalantly as if nothing had happened. 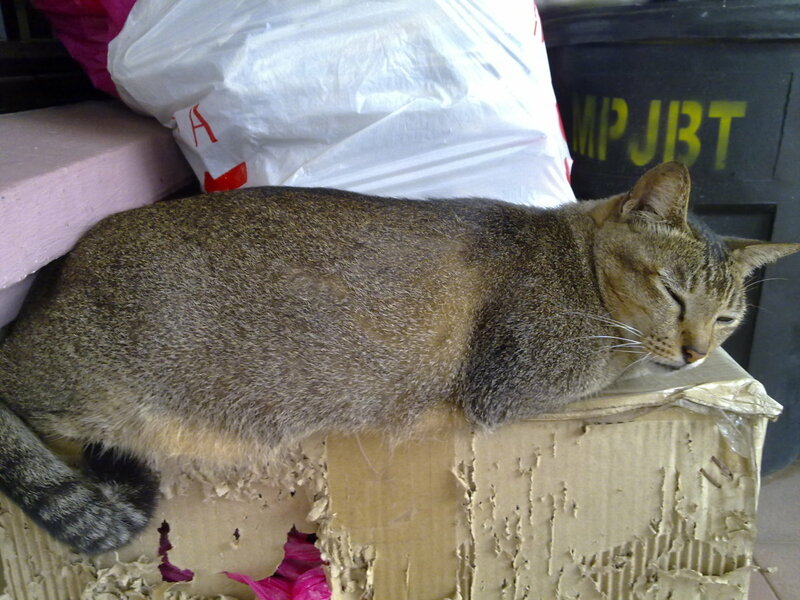 This is how a cat hide her embarrassment with high dignity. Impressive, eh? You seddit! During my younger days I used to "lay traps" for the cat, such that when he gets to the very top something goes out of balance and the whole thing collapses! When that happens, he simply gets back as if nothing had happened and starts scratching the back of the ears with one hind leg! Having grown up on a farm and have had lots of experience with different animals. They all have their own temperaments and personalities just like people. Some are smarter than others just like people. They have feelings. Scientists have determined that domesticated animals have a vocabulary of 2-300 words, not that they speak, but they understand when you speak them. Yes, cats and dogs get embarrassed and disgusted, and they have a whole array of emotions. thank you. I just love cats ! Excellent examples of a cat's emotional world and a hub that I enjoyed reading! We've had several cats and yes, they all feel embarrassment. Particularly when laughed at; the most common reaction is probably to stalk off with tail high as if the royalty is now leaving the room. Embarrassed and offended that we laughed at him falling off the couch, but still royalty. funny to watch their blunder actions, isn't it? Thanks for reading. Yes, my cats get embarrassed when they slip off the top of the couch, or let a bug go by accident. Great Hub! Cats love boxes until you close the lid on them, and then they get skittish and want out. Ever tried to keep a cat under the covers with you? They always want out right away. Thanks for the hub. Later! LOL! Cat are full of wonders ! Awesome I learned more here about cats, once I saw a cat jump toward a bird missed and fell over. Yeah, my cat does that too. Glad to read so many hubbers who are cat lovers too. I have caught my cat trying to play off something that she was trying to do that didn't work out as if she wasn't interested at all. It is funny how they try to cover from themselves, as if they are embarrassed. My cat usually just does a stretch as if to say "nope, not doing anything over here, just stretching." Thanks for reading. True, cats don't like to be laughed at but sometimes just couldn't resist! Thanks for commenting. You have 2 different behavior cats. Mine is similar to your serious cat. Cute Hub. One of my cats is always doing stupid things and doesn't seem to mind one bit if he makes a fool of himself. My other one takes himself more seriously and just pretends nothing happened. cats may not like getting laughed at, but they very much like making you laugh...my cats are always doing things that make me laugh and when i laugh they will repeat the thing they did. Peach, well written article ... I do see my cats getting embarrassed, and I feel so bad for them. I know they do NOT like to be laughed at, and sometimes it's hard because they do very funny things! Thanks for a lovely hub and it is nice to meet a fellow cat lover! Yeah, cats are the most funny felines. Mine would walk away as if nothing happened. I chuckled when I read about the displacement activity. My husband and I are always amused when my cat becomes embarrassed. It is rather obvious by the way he rapidly cleans himself immediately after he misjudged how high he needed to jump to clear a landing. Voted funny and interesting. well then thank you for taking her in and keeping her safe and healthy. she really is very beautiful. 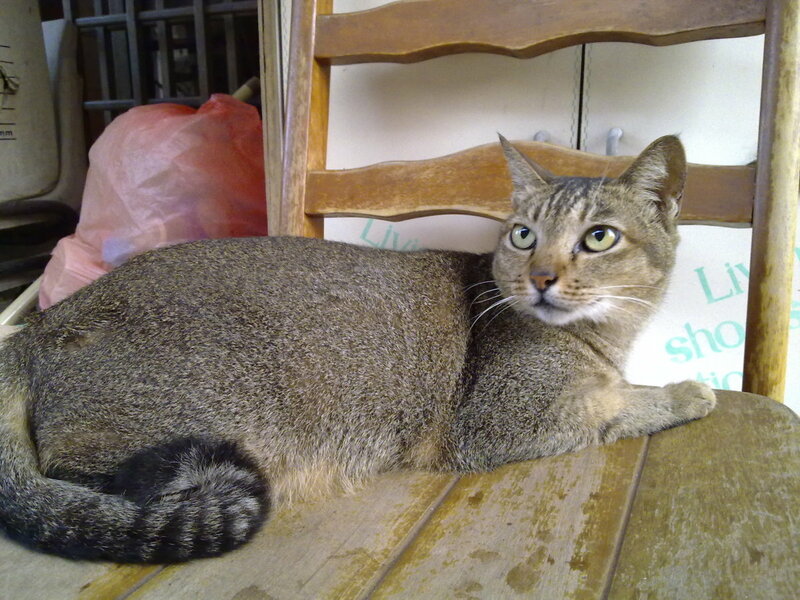 my cat is a stray cat. No idea what is she made of! All i know her mommy is a stray cat too, black and white. She has a sister but died due to strangulation. Poor girl. Thanks for reading. Anyway, my cat is spayed because we don't want her to bear so many kittens and have them run over by cars. oh so true. and my cats always make me think of human children, i guess that why i love them like human children. cats are incredibly intelligent, and just like us humans can still do stupid things, or have clumsy moments. just today i watched two of my cats rolling around on the truck, enjoying the heat the truck was putting off, and both rolled right off the truck. one from the hood the other from the cab. and yes, cats feel and think much like humans do...maybe not as abstract as us...but then again who knows what they lay there thinking about. cats are philosophers, lol. and you have a very pretty cat...is he by chance an abby or abby mix? Yeah, since i started to observe my cat, i knew that she has the same emotions as humans do. Have to take care of the kitty pride. Thanks for yr lovely comments abt my cat. I think it is due to Friskas cat biscuits that makes her coat lovely. Yes, we have to becareful with cars and dogs around the neighborhood. Cherio! LOL... a good one ! Your kitty is cute. My cat doesn't have a litter box. She does her jobs out in the garden and attracted a couple of boyfriends. Thanksgiving me so many types of votes. This is the only hub I could get many votes. Should have written earlier....Thanks for tweeted. Greatly appreciated. Thanks for reading my hub. Yeah, I have seen many funny actions she had made. Do you believe that when a cat drinks water indicates it is going to rain? Hi peachpurple:) It's always nice to meet fellow cat people. Great hub- both informative and amusing! I had to laugh because you have really nailed the ways cats respond to situations. Yes, they are the masters of nonchalance-lol. Thank you for sharing! A great hub for animal lovers or anyone for that matter. I treat my pets like children and yes they get embarrassed and they get their feelings hurt. When my Sweetie Angel--my Pom does something wrong--all I have to do is point at him. And he goes under the bed for his time out. My friends said after they die--- they want to come back as one of my pets. I have funny friends. I voted awesome, useful and interesting, and tweeted. Thanks for writing this for us.